That chill in the air is here to stay, and with it comes rumbly tummies, and bodies needing warming. In our house, reaching for a can of soup is usually met with a chorus of groans and eye rolls, and half of the time, we’re hungry an hour later. While it may taste fine, it’s generally lackluster, and unless it’s full of recognizable character pasta noodles, the kids want nothing to do with it. This got me thinking. Why don’t we love it? Canned soup is convenient and typically healthy…so, what gives? It’s boring. That’s right. 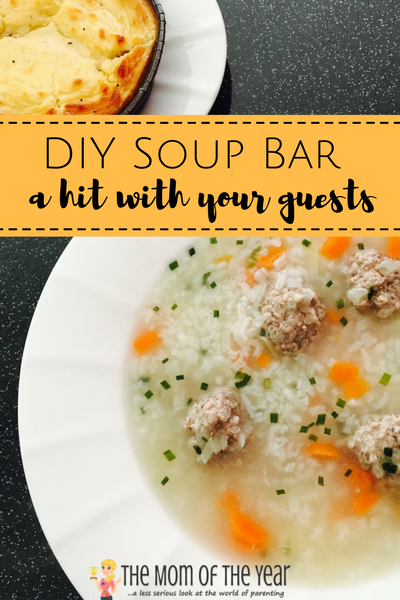 It’s simply not exciting, and here’s an easy way to fix these soup hum-drums. 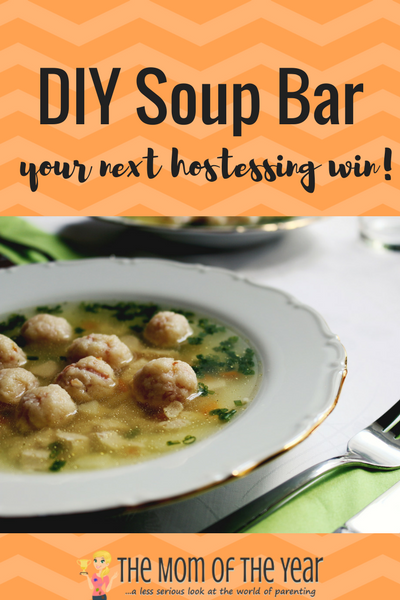 Check out this DIY Soup Bar idea and win! 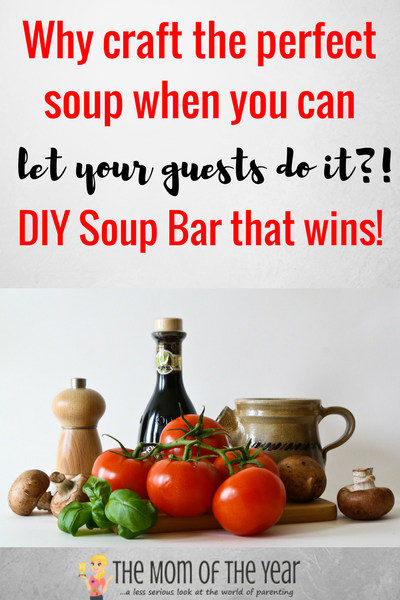 The bar concept has been done for tacos, omelets, cupcakes–you name it–but soup has been left on the back burner (pun intended) for far too long! First, pick your base. The broth or creamy base can be store bought or homemade depending on how much time and energy you want to spend. Maybe you just choose one you all like for family nights, and up your game to all three if you’re hosting a crowd. Next you need mix-ins. The possibilities are ENDLESS, and can be adjusted to include your family’s favorites, and, better yet, to include some of the leftovers hanging in your fridge! It’s amazing how easy it is to transform last night’s leftover chicken breast and potatoes into a brand new meal they’ll love. Dish up your ingredients in individual serving bowls while the pot of your base or broth simmers on the stove. Let everyone run down the line choosing their favorite mix-ins, then ladle your liquid on top! Garnish with any of your favorite toppings. We love a dollop of sour cream and basil on any of the tomato based soups. and quiche if you’re feeling fancy. Above all, enjoy!! It’s so much fun for the kiddos, and anything that gets them to eat a healthy meal without a struggle is a win for the parents!